Global stocks continue to lack clear drivers as the September quarter comes to an end, with many market participants merely squaring up positions. In Asia Pacific, most countries’ stock indexes are set to end the month higher, with solid earnings and broadly positive risk sentiment outweighing the region’s geopolitical concerns, in particular the escalation of tensions between North Korea and the U.S. The third quarter is set to be largely positive for Asian stocks, with Taiwan, Malaysia and Australia the outliers with declines. However, with a number of large markets closed Monday, and China’s going dark all of next week for holidays, OCBC Bank warned there might be some profit-taking Friday. Japan led the way regionally in September, with the Nikkei NIK, +0.00% on pace to notch its best month of 2017, entering Friday’s trading up 3.6%. It was recently down 0.3%, held back by a rebound in the yen — the currency’s recent weakness stoked this month’s jump to two-year highs for the Nikkei. The dollar JPYUSD, -0.238865% was recently at ¥112.60, a half-yen stronger than when stock trading ended Thursday. 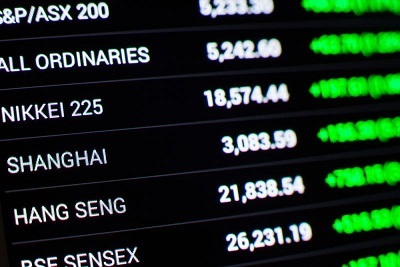 The morning’s best performer, meanwhile, was South Korea’s Kospi SEU, +0.70% . After ending a seven-session losing streak Thursday — its longest in three years — the index was up 0.5%. However, the Kospi needs to rise some 0.8% Friday to avoid its first quarterly decline of 2017. While some Japanese and South Korean economic data emerged early Friday, markets didn’t seem to pay much attention. “I think the positioning around end of quarter is much more important than any of the data,” said Stuart Ive, a client adviser at OM Financial in Wellington, New Zealand. Stocks in China SHCOMP, +0.25% and Taiwan Y9999, +0.27% opened up as much as 0.5%, though Singapore STI, -0.61% — which had been outperforming in recent days — saw its benchmark index fall 0.7% early. Australia’s S&P/ASX 200 XJO, +0.23% was recently off 0.1%. It needs to rise 0.8% Friday to avoid a fifth-straight monthly decline, which last happened in 2011. Australia, alongside Malaysia, has come under pressure from weakened commodity prices in the September quarter, with a sharp decline in iron-ore prices particularly hurting Australian mining stocks. Taiwan, meanwhile, has been hit by recent worry about tech demand, especially for Apple’s iPhone. In fact, September’s anticipated decline will end a record-tying nine-straight months of gains for the Taiex. In other markets, the U.S. dollar continued to consolidate its recent gains, while weakness in the 10-year Treasury has stopped for now and commodities were little changed in Asia. “That is part of the reason that equities are just pausing as well,” said Ric Spooner, chief markets analyst at CMC Markets in Australia.